For years China was the world's top destination for recyclable trash, but a ban on certain imports has left nations scrambling to find new dumping grounds for growing piles of garbage. "Large amounts of dirty... or even hazardous wastes are mixed in the solid waste that can be used as raw materials. This polluted China's environment seriously," the environment ministry explained in a notice to the World Trade Organization. 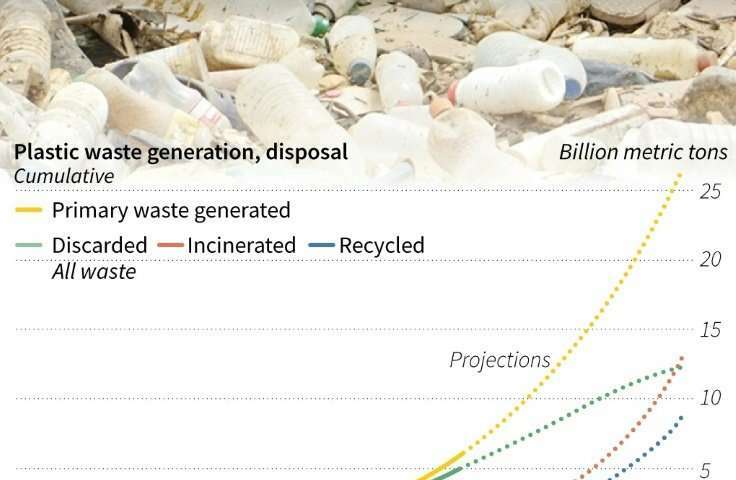 Graphic on plastic waste produced and disposed in the environment, with projections up to 2050, according to a new study published in the journal Science Advances. 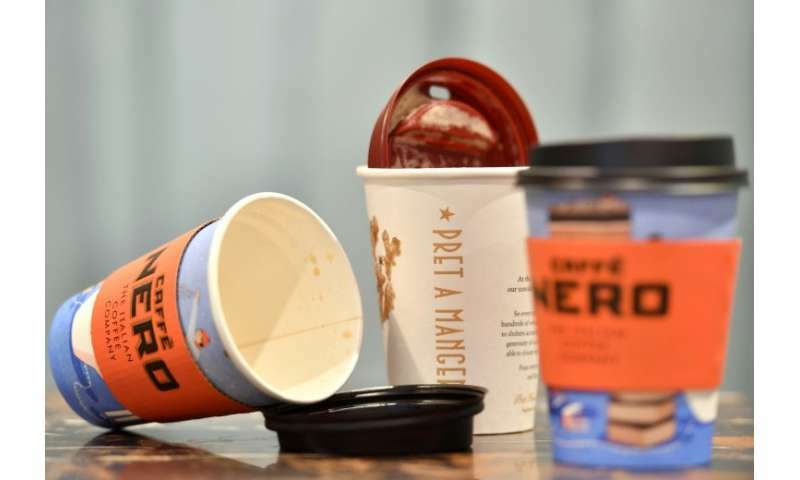 The ban has been like an "earthquake" for countries dependent on China, said Arnaud Brunet, head of the Bureau of International Recycling. "It has put our industry under stress since China is simply the largest market in the world" for recycled materials, he told AFP, noting that he expected exports of certain materials to tank by 40 percent or more. Global plastic exports to China could sink from 7.4 million tonnes in 2016 to 1.5 million tonnes in 2018, while paper exports might tumble nearly a quarter, according to Brunet's estimate. The decrease will be partly due to a fall in the threshold of impurities China is willing to accept per tonne of waste—higher standards that most countries currently cannot meet. 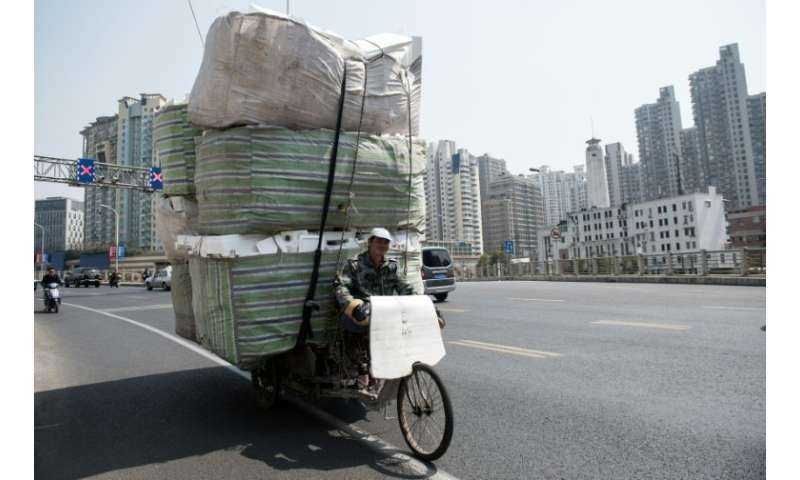 Sending recyclables to China is cheaper because they are placed on ships that would "otherwise be empty" when they return to the Asian country after delivering consumer goods in Europe, said Simon Ellin, chief executive of the Britain-based Recycling Association. Brunet also warned that many alternate countries may not yet be up to the task of filling China's enormous shoes, since "processing capacity doesn't develop overnight." The ban risks causing a "catastrophic" environmental problem as backlogs of recyclable waste are instead incinerated or dumped in landfills with other refuse. In the US, collectors of recyclables are already reporting "significant stockpiles" of materials, said Adina Renee Adler, senior director of international relations at the Institute of Scrap Recycling Industries (ISRI). "Some municipalities have announced that they will either not take certain materials or direct them to landfills," she said. 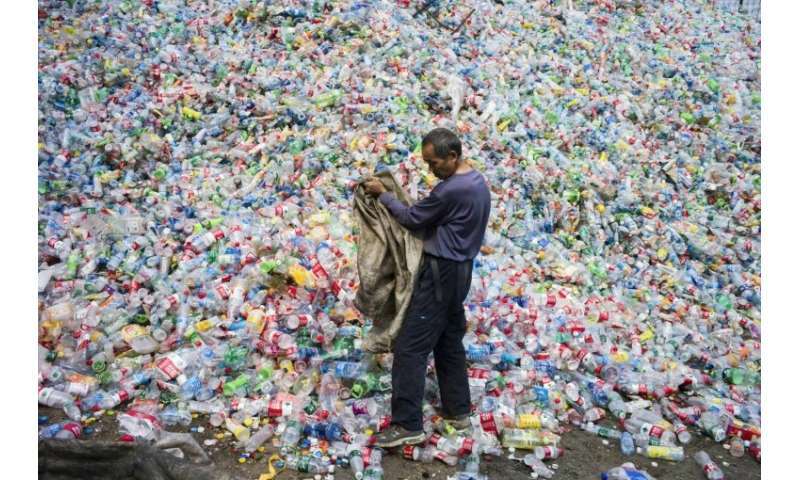 "It will be very hard to do business," said Zhang Jinglian, owner of the Huizhou Qinchun plastic recycling company in southern Guangdong province. Others, such as Nantong Heju Plastic Recycling in coastal Jiangsu province, will "no longer do business" at all, a representative said. 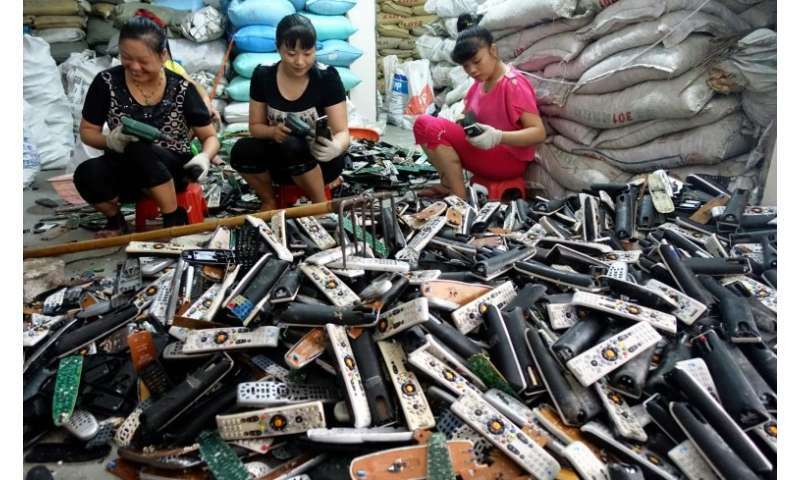 "In China at the moment, there isn't a complete, legal and regulated recycling system in place," he said, with even big cities like Beijing reliant on illegal scavengers. 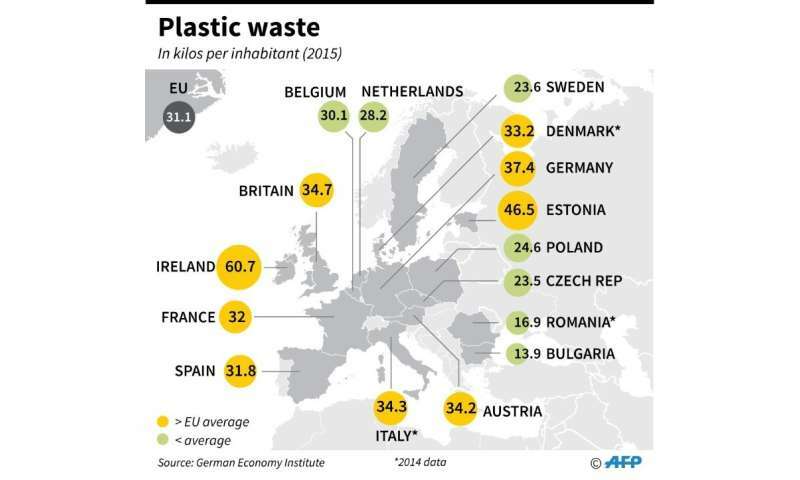 "When there aren't resources coming from abroad, there's a greater likelihood of us improving our own internal recycling." "The Chinese decision forces us to ask ourselves whether we wouldn't be interested in making processing plants in Europe so as to export products rather than waste," he said. China bans foreign waste – but what will happen to the world's recycling? Awwh what a shame for the rich bar-stewards who charge developed nation landfill costs then dump the trash on whoever's cheapest and pocket the difference.